Meet the shih tzu, one small and adorable dog full of affection and fun. Read our breed profile to see if this is the perfect dog for you. The shih tzu is a small, compact dog ranging from 8 to 11 inches tall and weighing between 9 and 16 pounds. The dog is slightly longer than it is tall and features a tail that curls over the back. Shih tzus are long-haired dogs with a moderate undercoat. Although colors vary and all are accepted by the American Kennel Club, most shih tzus have multiple colors. They live an average of 12 to 16 years. Shih tzus originated in Tibet and were rumored to be sacred dogs kept in temples. They are the oldest and smallest of Tibetan holy dogs. These pets were a favorite among royals in China and were believed to be bred from a cross between a lhasa apso or Tibetan mountain dog and a Pekingese. The name shih tzu means “lion” or “little lion,” named after their facial appearance. Evidence of the dog has been traced to the year 624, although some reports do not recognize the dog until the 17th century or Ming Dynasty. The shih tzu came to us from England. British soldiers discovered the dogs during World War II and returned with them. They were bred in England, and the Shih Tzu Club was formed in 1933. American soldiers returning home from overseas placements brought the dogs to the United States, where they quickly became popular. The AKC recognized the breed in 1969. Shih tzus are companion animals, pets and competitive show dogs. Competition shih tzus usually have long, groomed fur, whereas those kept only as pets are sometimes trimmed very short. 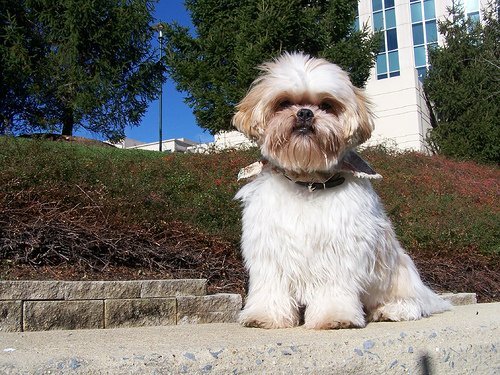 Shih tzus are intelligent, outgoing and friendly dogs that are affectionate and trusting with everyone. They are lively and alert and thrive on human companionship, so they don’t like to be left alone for long periods of time. They can also be stubborn and make training a chore, but consistent and thorough training is effective. Warning: The following video contains cuteness overload! The shih tzu is a small dog with minimal exercise needs. A daily walk to expel energy and spend time with their owner should be all that is needed, and indoor play can also keep them active. As with any small dog, never leave a shih tzu alone with large dogs. Some large dogs can have strong predatory instincts and can injure or kill small animals. Shih tzus need regular, daily brushing if their coat is kept long. 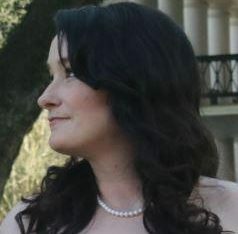 The hair around the face is usually gathered in a bow or knot to stay out of their eyes. They can be bathed every few weeks or more often if needed. The longer hair will take longer to dry, and groomers recommend getting the dog used to a hair dryer as a puppy to desensitize them from being scared or difficult at grooming times when they are older. Their eyes and ears must be checked and cleaned regularly. The eyes in particular can tear and stain the facial fur, and your veterinarian can recommend eye drops if needed. The eyes are large and prone to infection, so this area cannot be neglected. Regular nail trimming should be done as needed. Shih tzus have few inherited illnesses, but the ones listed below are those that the breed is more susceptible to experiencing. Intervertebral disk disease (IVD) is common among small breeds with short legs. This occurs when a slipped disk presses on the spinal cord, and could result in paralysis. Medication is usually prescribed, although if ineffective the condition may require surgery. Patellar luxation occurs when the kneecap slips out of place, and can happen at any time. Lack of treatment, which usually involves surgery, may cause the leg to become deformed permanently. Stenotic nares is a condition where stress is put on the respiratory system because the narrow nostrils are not getting enough air. This condition is usually present at birth and treated immediately by a surgical procedure. Harderian gland prolapse occurs when the gland inside the eyelid becomes swollen, and can lead to loss of vision. Surgery to reconnect the gland is required. Hypothyroidism refers to the thyroid gland not producing enough hormones to regulate the body (similar to the same condition that affects humans). This condition is treated with medication and adjusted with periodic tests to check the levels. Is the Shih Tzu the Right Dog for You? There are some factors to thoroughly consider before acquiring a shih tzu. Daily brushing, grooming and training will take time and patience. Grooming can also be expensive depending on how you decide to maintain the dog’s coat. That said, they are good for allergy sufferers because they shed very little pet dander and are small enough to be kept in apartments or condos. If you’re able to make the effort and expense to care for a shih tzu properly, this lively little dog could be your new best friend. 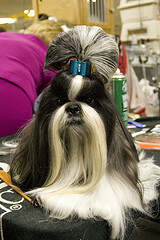 The shih tzu is also called the “chrysanthemum dog” for the way the facial hair grows in all directions. It is believed that every shih tzu in existence can be traced back to a small group of specific dogs that were bred. These dogs almost became extinct during the Communist Revolution. They were first classified as “apsos” but later determined to be a separate breed in the 1930s in England.